The experts in our Ridgeland Honda service center can attest to just how important your tires are. After all, your tires are the only point where your vehicle comes into contact with the ground; that means they’re the source of 100% of your vehicle’s grip and handling. It’s certainly worth it to ensure that your Honda’s tires are a perfect fit! Fortunately, we stock a full range of tires for your Honda at our car parts department in Ridgeland, conveniently located near Jackson, Flowood, and Madison. You can even look up the correct fit for your vehicle and order tires for your Honda from us right here on our site! If the wheels on your vehicle are the ones that it came with, you can look up your vehicle on our site to find your tire size; you can also check your vehicle’s manual, or find the dimensions on the sidewall of your current tires. If you’re not sure about fit, or if you’ve changed your vehicle’s wheels, our experts are happy to help you determine the correct sizing for a perfect match. Once you know your sizing, you can select the tires you want from top brands like Dunlop, Bridgestone, Firestone, Goodyear, Yokohama, Hankook, Continental, and others. If you’re not sure which tires best match your driving needs, we’re here to point you in the right direction. 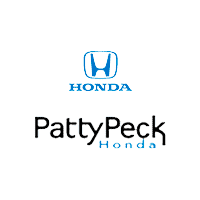 For help finding the right tires, or to schedule a service appointment with Patty Peck Honda near Jackson, Brandon, Flowood, and Madison, be sure to give us a call at (601) 957-3400.